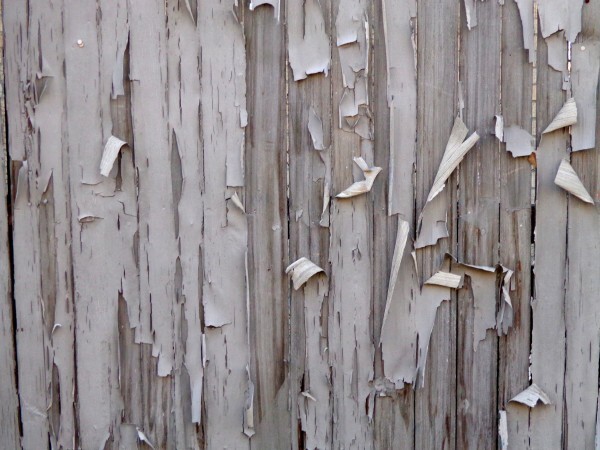 Free high resolution photo of peeling paint on fence boards. 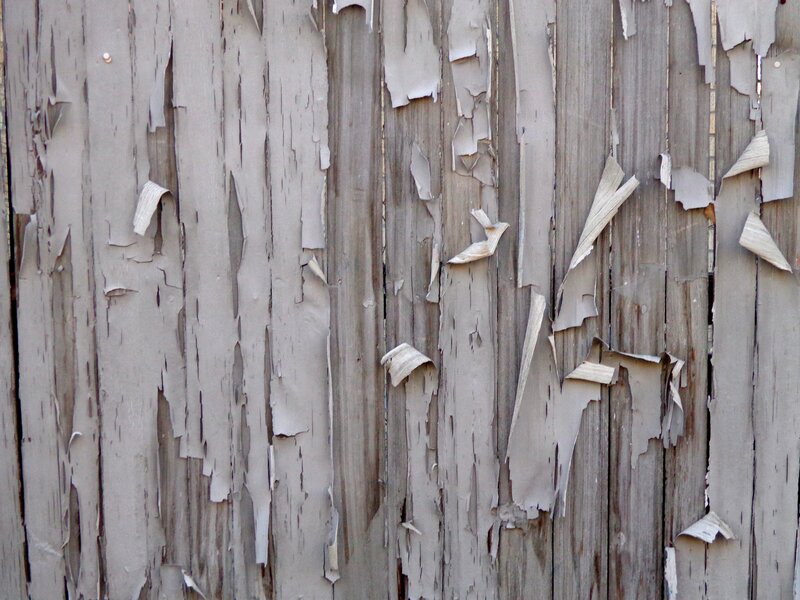 This photograph shows a wooden fence that was painted, but the paint is coming off in big sheets. You can see wooden boards where the paint has peeled away and big sheets of dried paint peeling away. Great background image or texture for Photoshop. Free picture for any use.